Ultra was nice enough to supply us with both the 600w and 850w for our testing. So let’s see how these two new power supplies rate compared to others on the market today. LOL it never ceases to amaze me the lengths to which the competition will go to discredit us. Next time use an IP other than the one your website comes from. Oh and by the way I don’t see any reviews on your site using an Oscilloscope and $10,000 worth of equipment to test either. Go take a thread crap on another site. Have fun with yourself at CES and Computex? Oh that’s right you don’t cover major events. By the way it seems your IP address is blacklisted on about a dozen different databases. That number is about to increase. Do a proper review next time. What? This is a horrible product! You would have to be stupid to buy a PSU that is overrated! This PDU can’t do anywhere near it’s rated wattage! 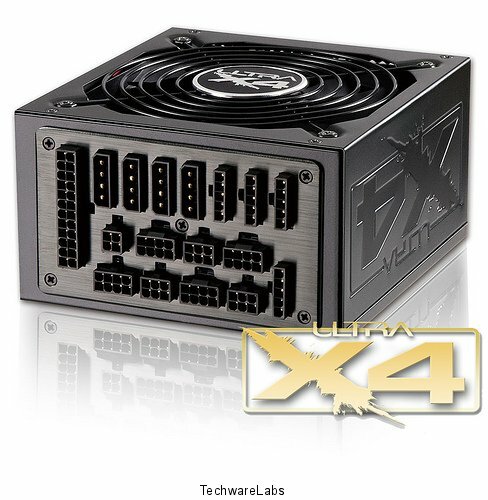 And cheap PSU’s like this only do one thing! And that is destroy hardware once it burns up from the cheap parts inside! This is why nobody buys your junk! Just like people stopped buying Huntkey! However Huntkey listened to the customers and reviewers and changed their quality and now Huntkey units can actually do their rated power and are safe! I would not trust a Ultra in a very old Pentium 3 desktop! Oh and just encase you try to claim I am also smarting off while hiding like you did that one guy, My name is Brian Blair and I live in Ashland Ky! I have nothing to worry about since this unit has been load tested and a proven failure! Just remember I’m an idiot, I don’t know what I’m talking about, I can’t spell, and I like to crap where I’m not wanted. Cya later as I wont ever be back. I wonder how much are you paid to advertise or ‘review’ this absolute horrific product? We aren’t paid a dime. The product is not horrible. I don’t see the “review”. looks like a fluff marketing piece for the manufacturer. Uhh… Where is the review? It looks like a few pages must be missing. Wow!